Product Consists : Hand Bunch of 12 Red Roses, 12 Inch Teddy bear along with Dairymilk Cadburys chocolates Bars (Weight : 50 Gms). An amazing gift is for someone really special to express your love. 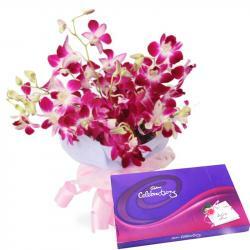 Valentine is the most precious occasion for couple Cadbury Dairy milk chocolates that we have here is just perfect to make any occasion full of delight and happiness. In this season of love, gift you are the lovely dozen red roses be a perfect gift for this Valentine Day. Express your love by gifting a lovely and sweet heart a cute teddy bear. 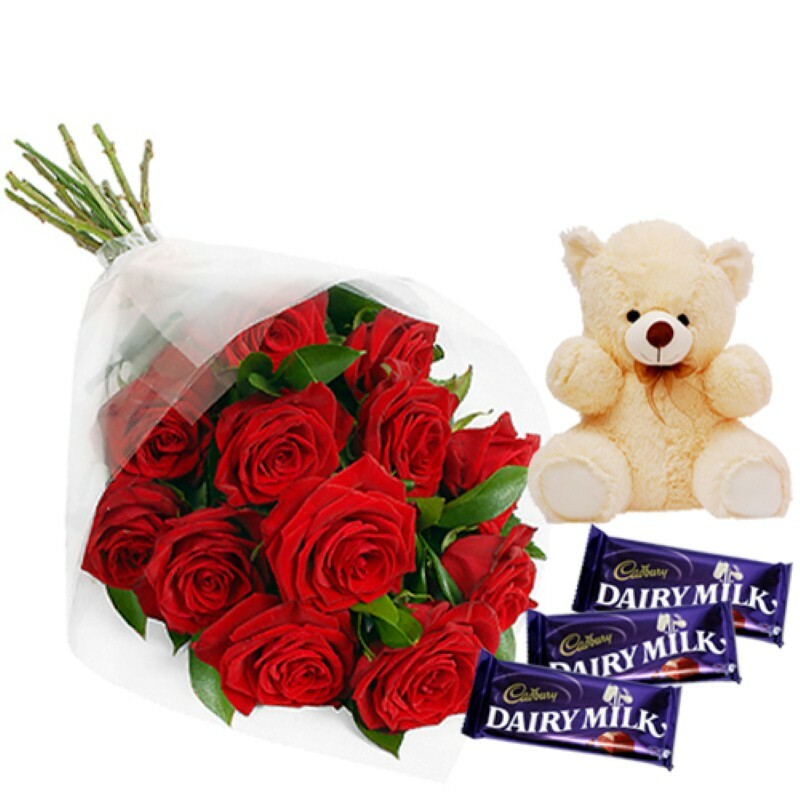 This is one of the best valentine day gift hamper Product Includes: Hand Bunch of 12 Red Roses, 12 Inch Teddy bear along with Dairy milk Cadburys chocolates Bars (Total Weight : 50 Gms).